If you are a musical person, then you know the cost of buying new instruments. They are often expensive and aren’t affordable to the common player. So what options do you have? The best option would be to buy a second-hand instrument. It saves you a lot in terms of cost. When selecting a second-hand instrument, you need to check on the quality of the instrument, otherwise, you will be wasting your money and time. If you are looking for a second-hand trumpet, here is what you will be looking at to ensure you get the best quality trumpet. When purchasing a used trumpet, looks are important. 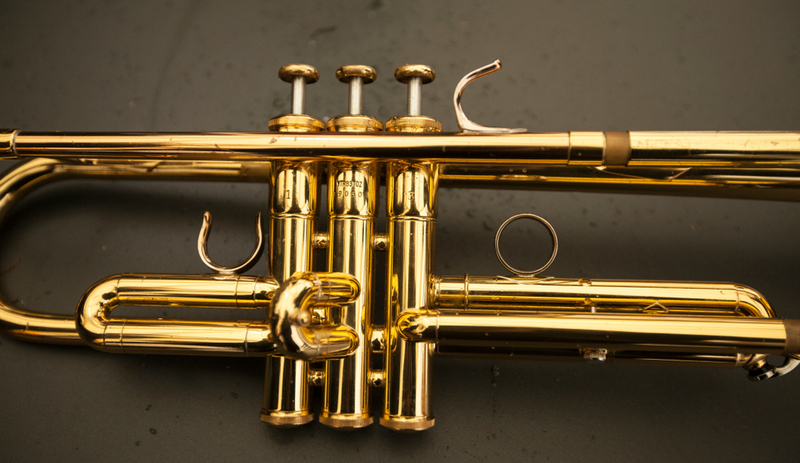 Even though some trumpets with a few dents might be great instruments worth investing in, a trumpet with a good exterior is a clear indication that it has been well taken care of. Conduct a thorough inspection of the horn and check for any dents. 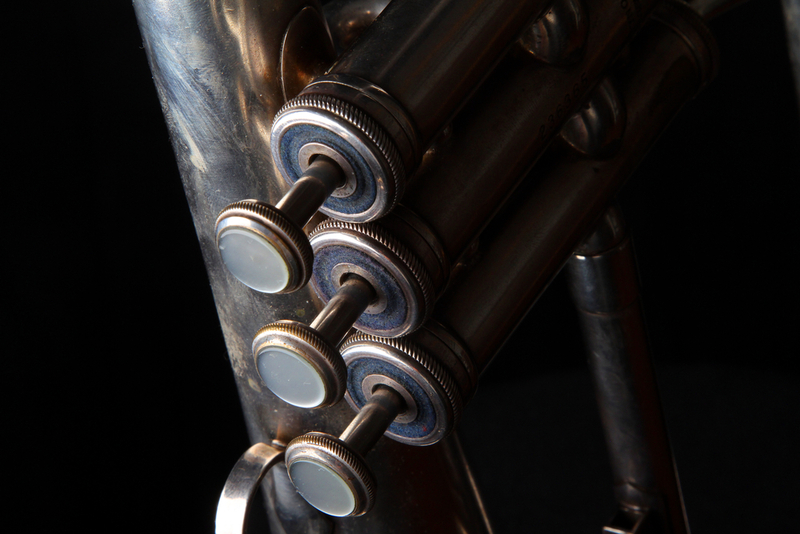 The dents particularly on the movable parts like the first, second and third valve slides, as well as the tuning slides, may affect the trumpet’s playability. Do you like the exterior of the trumpet? If it seems good then go ahead and purchase it. Remember, smaller dents on the exterior may not affect the playability of the trumpet but it may be important to consider that aspect in case of future breakdowns. When purchasing a used trumpet, focus on its valves. They are the most important things you might want to consider when buying a second-hand trumpet. Check if the trumpet has both the first and the third valve rings. The third valve ring is necessary while the first valve ring helps it to play the instrument easily. If you are an experienced player then you know the right valve for the best experience. But when you are starting out or you are a player on a budget, you need to keenly check the valves. A trumpet that has bent valves leaks air or is perpetually sticky will definitely ruin your day. Also, when checking the first and the third rings, check whether there are stops to prevent the slides from falling out accidentally. They aren’t a necessity but may be helpful. If the trumpet has water keys, ensure that the springs are working perfectly and that the cork doesn’t fall apart. Leaking water keys shows that the trumpet is worn out and may not last for long. Also, ensure the trumpet you are purchasing has a mouthpiece. This may not be a serious case since you can purchase one at the nearest store. It is however important that you have the original mouthpiece, especially if you are poor in choosing one. A trumpet is good when the valves are at the right speed, and the right feel and responsiveness. When checking the valves, unscrew them carefully and remove them from the trumpet’s body One at a time. Inspect them keenly to check whether they are straight. Check also if they are free from any scratches. Oil all the valves with trumpet valve oil. When heading to purchase the trumpet, always carry your own trumpet valve oil in case the owner lacks it. Remember to unscrew each valve independently and screw it back before unscrewing the next. If you mix them up, you are likely to damage the instrument. Before purchasing the used trumpet, ensure the slides are, moving easily. The most essential slides to check are the slides that extend to the trumpet’s bell or the tuning slides. Some may be stuck due to the trumpets inactivity. If this is the case, and that the slides can’t move even after you have applied a little pressure, try using trumpet grease. If they move easily, the trumpet is good and will serve its right purpose. If not, then it is likely that the trumpet has a slight bend inside and might affect its playability. If you are thinking of buying a more expensive second-hand trumpet, you should consider purchasing it from a serious trumpet player. This is because the horn is likely to have been in use occasionally and may not suffer from sticky valves. Just as anything else, brand reputation is necessary when you want to purchase a used trumpet. You need to look out for a reputable brand, don’t just fall for any brand (this is a common mistake done by most non-professional players). Some of the reputable brands that you might check out include, Yamaha, Vincent Bach, Schilke, Besson, olds, and Conn. Most of the brands have models that are suitable for students, non-professionals and professionals. There are also a few brands that would work just as perfect as these old brands. You can check on the internet for forums regarding trumpets. They might be helpful in selecting the right type of brand and ensure you have a durable trumpet. Some of the forums include trumpetmaster.com, trumpetherald.com, and tpin.org. Note that in these forums, everyone has his own tastes and preferences regarding trumpets. Some are qualified trumpet players while others are not. You can easily note a qualified player by the posts they make. The idea here is not to find a personal favorite brand but to check the brands that produce quality and durable trumpets so as to make a decision as to which trumpet to purchase. Some brands have unique marketing strategies and may lure you to believe that their trumpets play faster, stronger, longer and higher than any other trumpet. This isn’t true and you should be lured by these advertisements. Just do research on the top brands and compare their models to your needs. Different brands have different designs depending on the type of trumpet. Most beginner trumpets have an adjustable valve slide but a common trumpet should have no less than four valves. You may also want to figure the type of sound the trumpet produces. 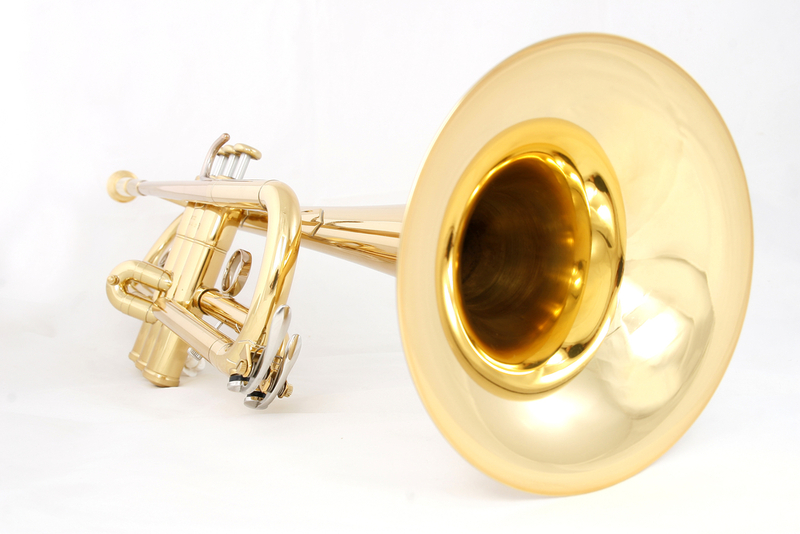 A huge bore trumpet with a small bell produces brilliant tone instead of a broad tone. If you need a broad tone, then you will be looking at a medium bore trumpet with a large bell and a medium to a large cup. Regarding the design, a trumpet made from nickel or silver is more durable than polished finishes. 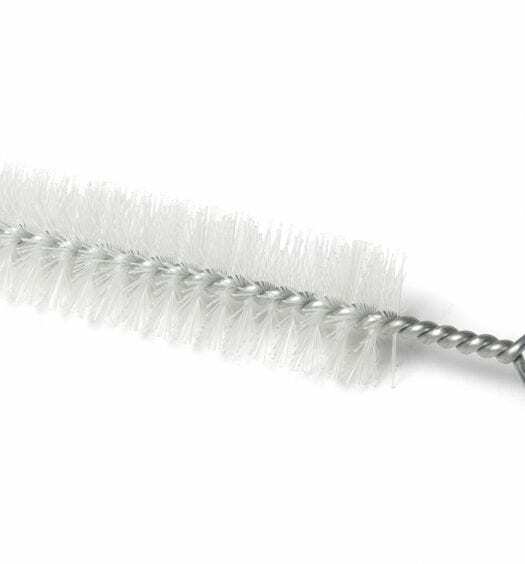 Don’t fall for the belief that polished finishes produce a darker tone. This isn’t true and neither is the belief that different brass allows (gold brass, red brass silver and the rest) produce different tonal qualities. You should also carefully inspect the bell. You may sometimes discover that the bell has an axial or a lateral layer. Two-piece bells have lateral layers that are easier to make. 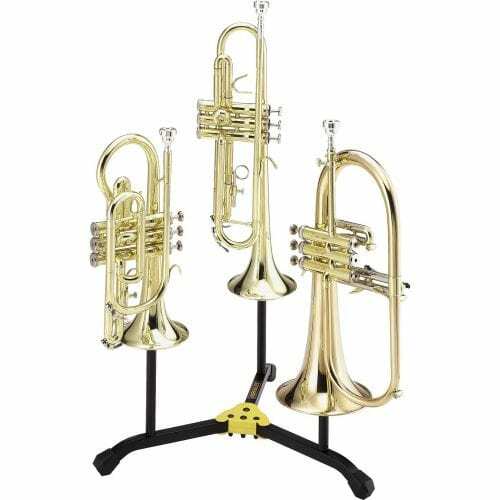 Trumpets with two-piece bells are cheaper than on piece bells with an axial layer. If you need to get a high-quality trumpet, look for one with one piece bells and get an improved projection and resonance. After you are satisfied with the features of the trumpet, its time no that you test it for its playability. There are a few reasons you shouldn’t play the trumpet before engaging in the steps above. First, if the second-hand trumpet has not been used for a couple of weeks, it could easily be damaged after a few minutes of play. If you blew it before checking and the owner is aware, you are likely to purchase it in that condition. Secondly, even if you are an amateur player and you have carefully checked all the parts of the trumpet, the owner of the trumpet is likely to treat you with respect and give the desired price based on the quality of the trumpet. If you haven’t gone through, the owner is likely to take advantage of your ignorance and dupe you into buying the trumpet at a higher cost. As lots of questions so the owner will realize you know a few things about the instrument. You can question like; how easy it is to play the trumpet, inquire about the valves, the size of the bell, how long the trumpet has been in use and such questions. These questions help you determine whether the horn is the right type for you. The size of the bell and the bore of the pie greatly vary and may not be suitable for you. 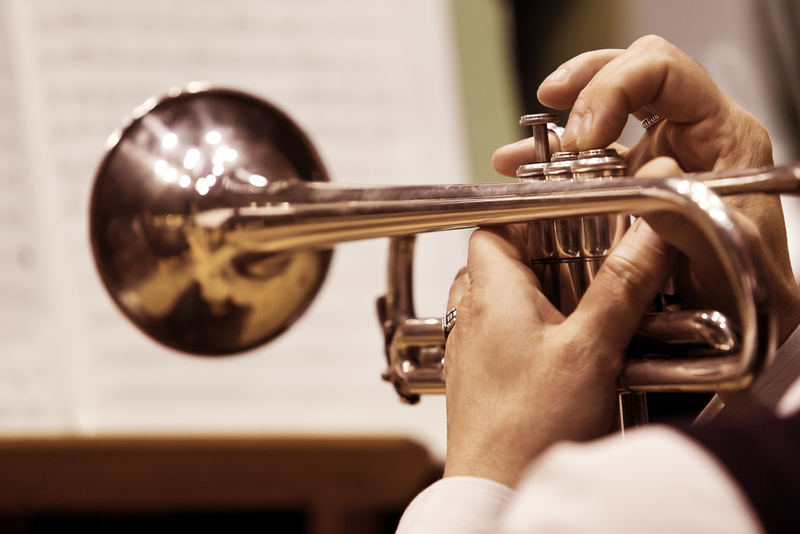 Play a few scales all through your desired range to ensure everything feels right about the trumpet. After you have ascertained that everything is okay, you can go on with the deal. Feel free to bargain. You might get it at a much cheaper price than the owner is asking for. You now will be a proud owner of a quality second-hand trumpet that is likely to serve you for ages. Picking a trumpet can be a daunting task, especially is it’s a used one. You need to know more than the basics to get a get a good quality used trumpet. Otherwise, you will end up with a bad instrument that can only be used as a decorative piece. If you consider the above tips, you definitely are going to buy quality used trumpet that will serve you for years.